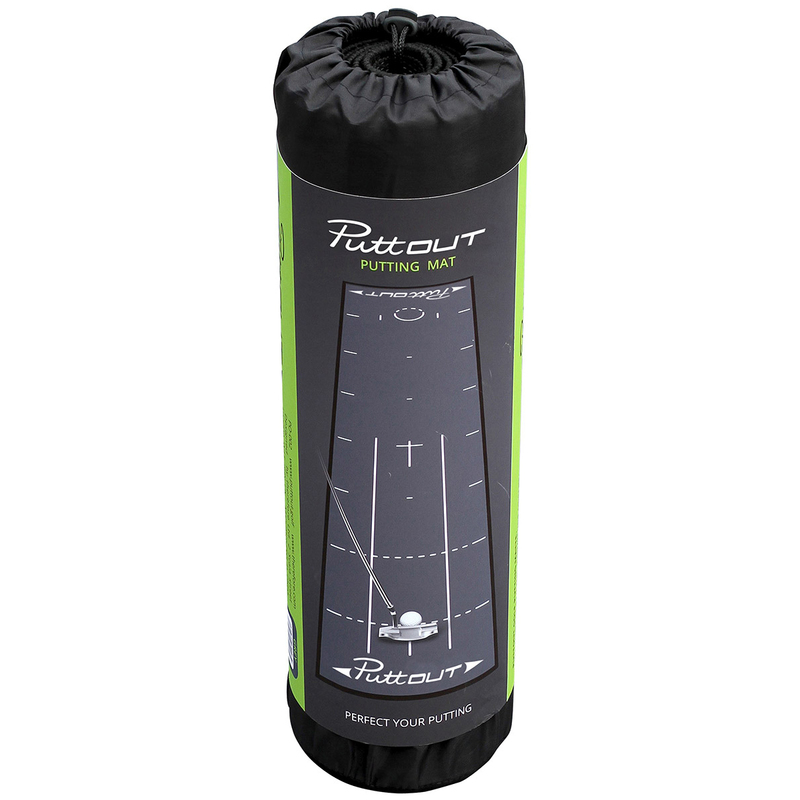 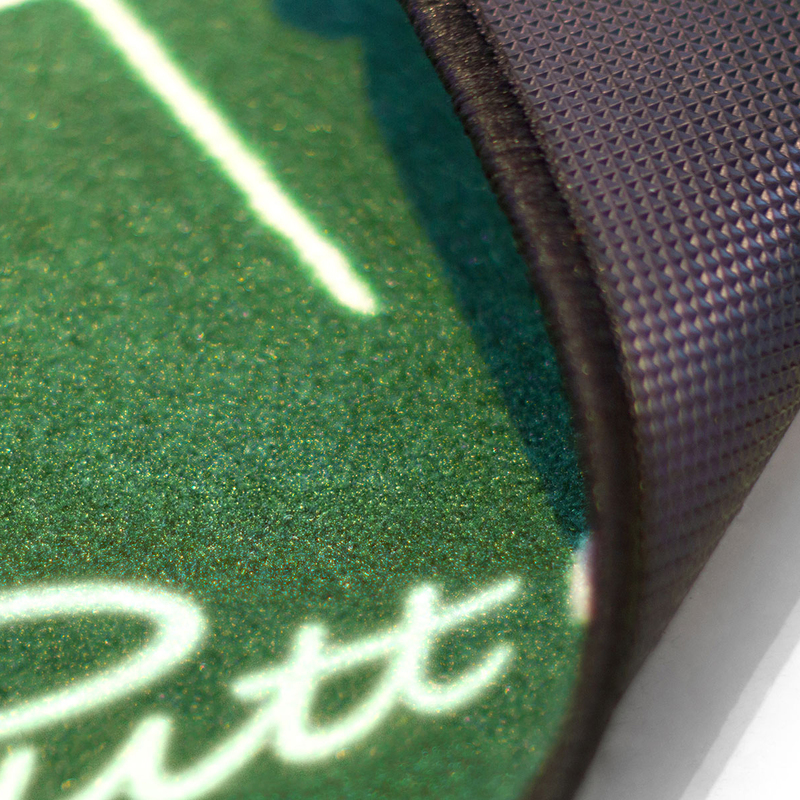 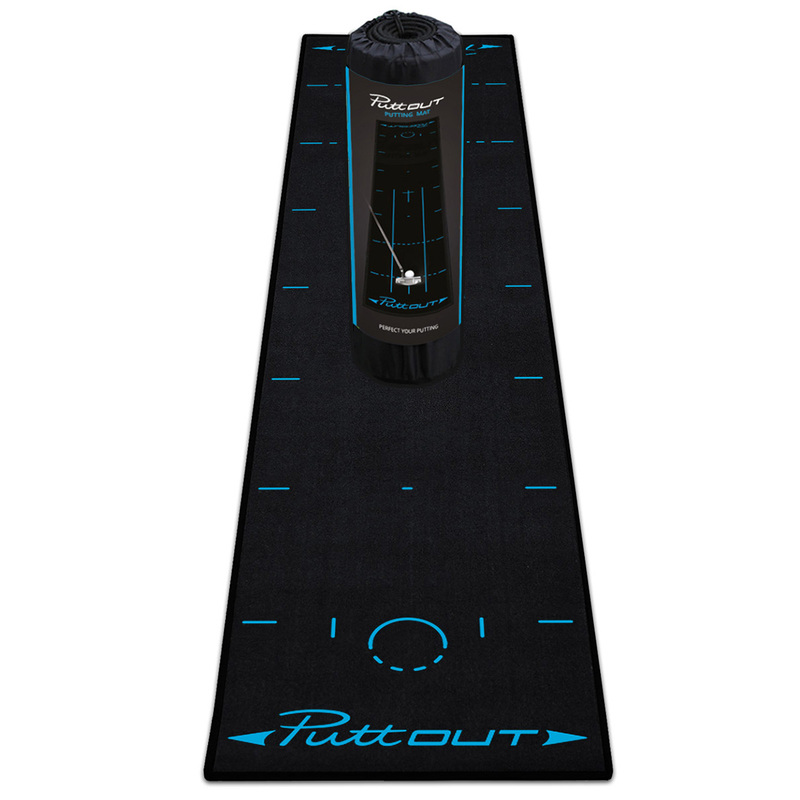 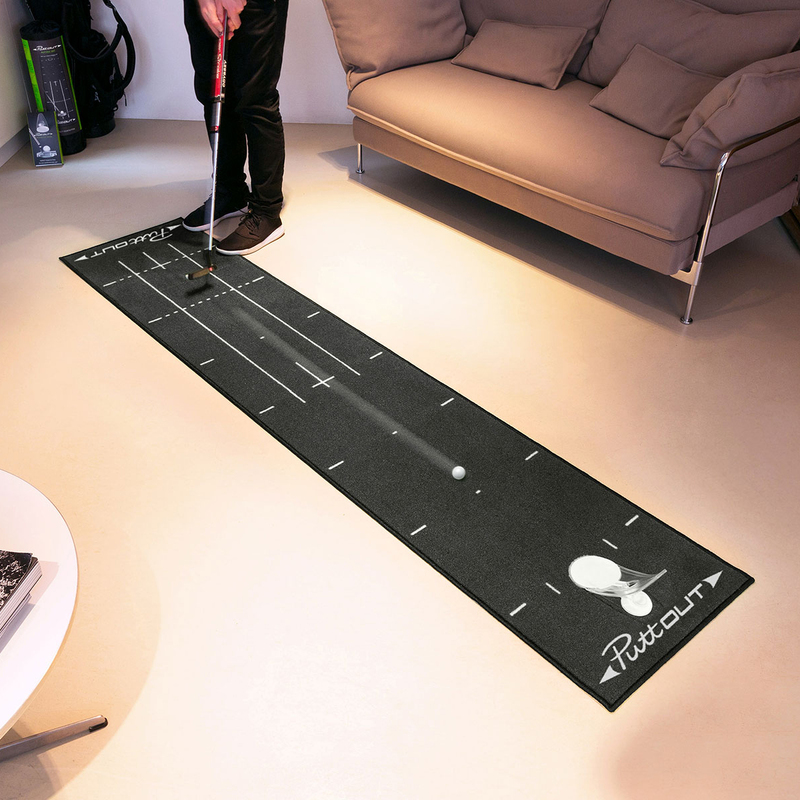 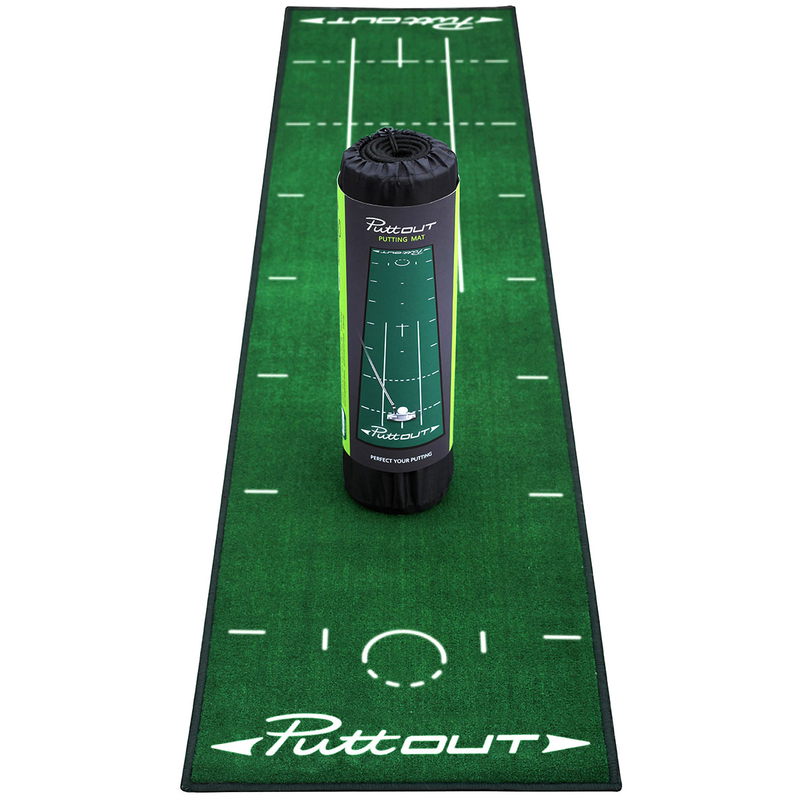 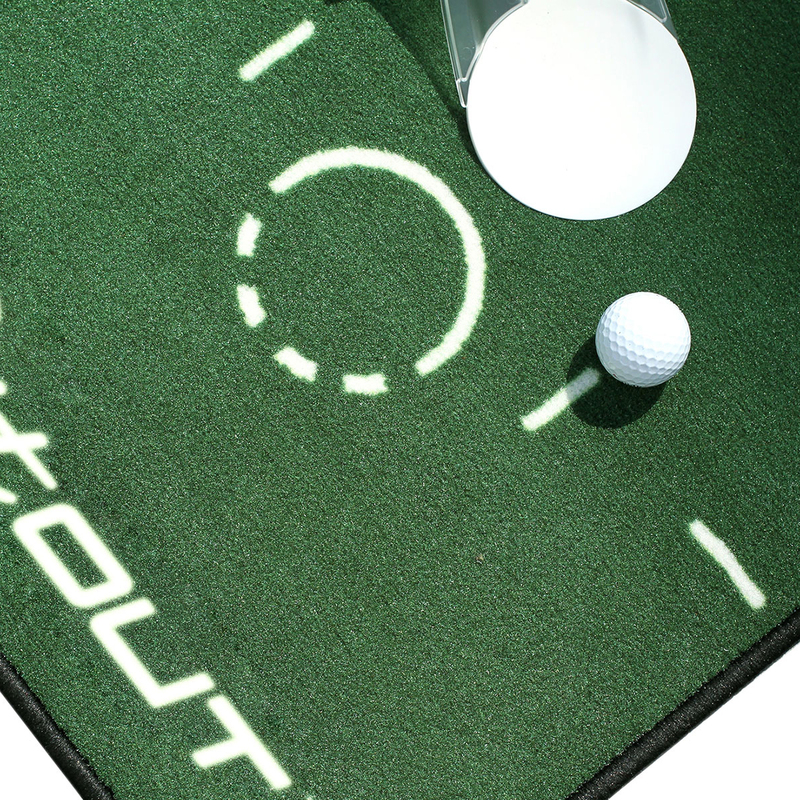 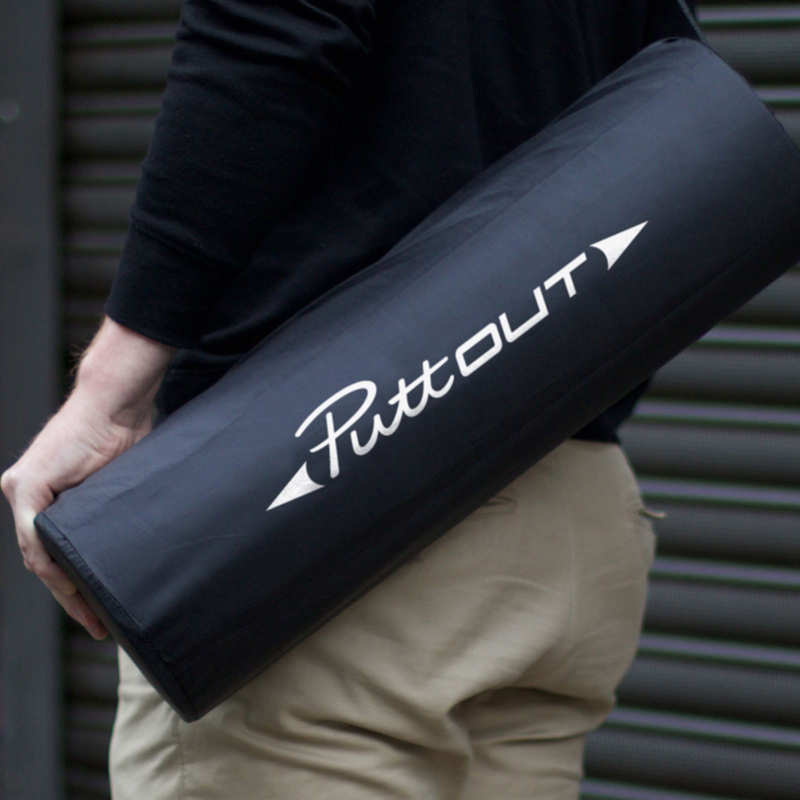 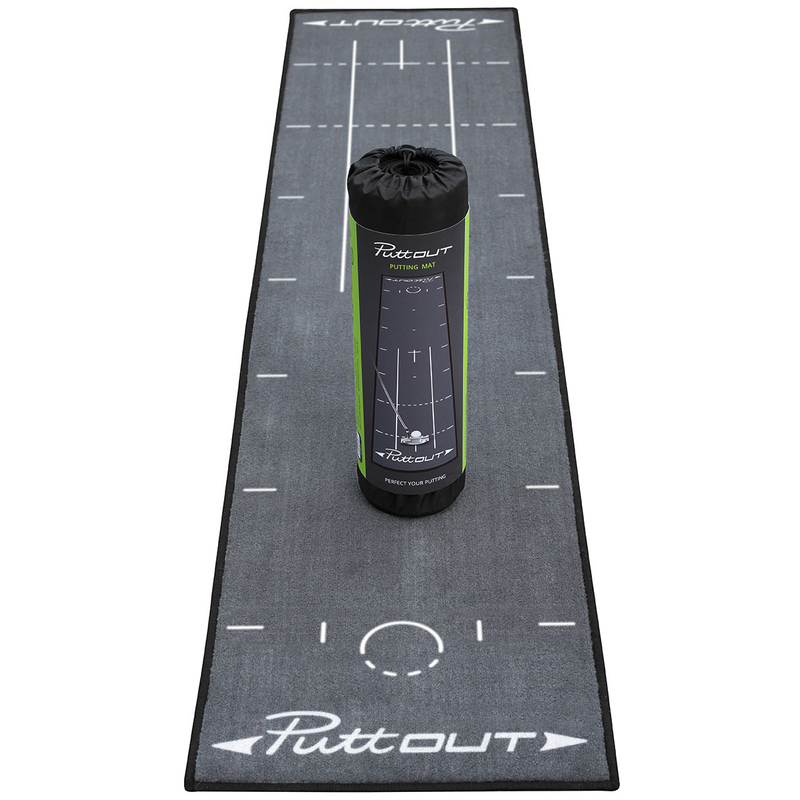 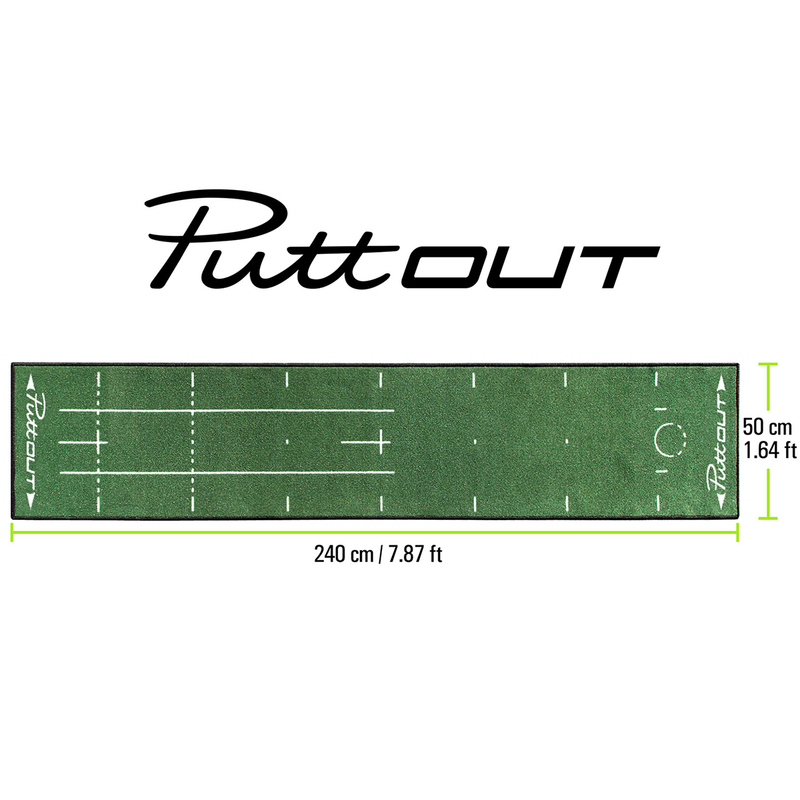 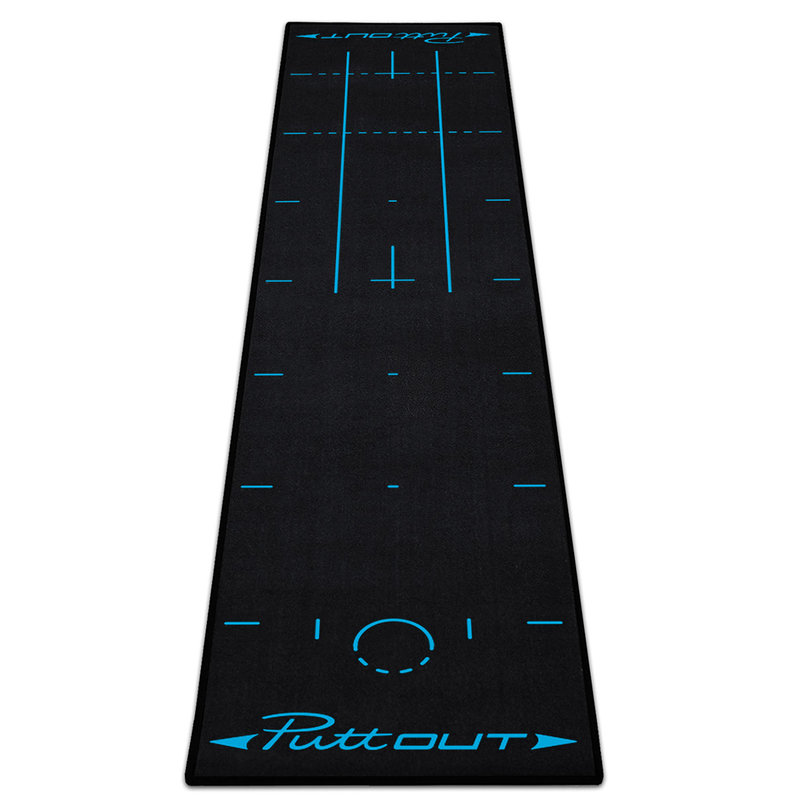 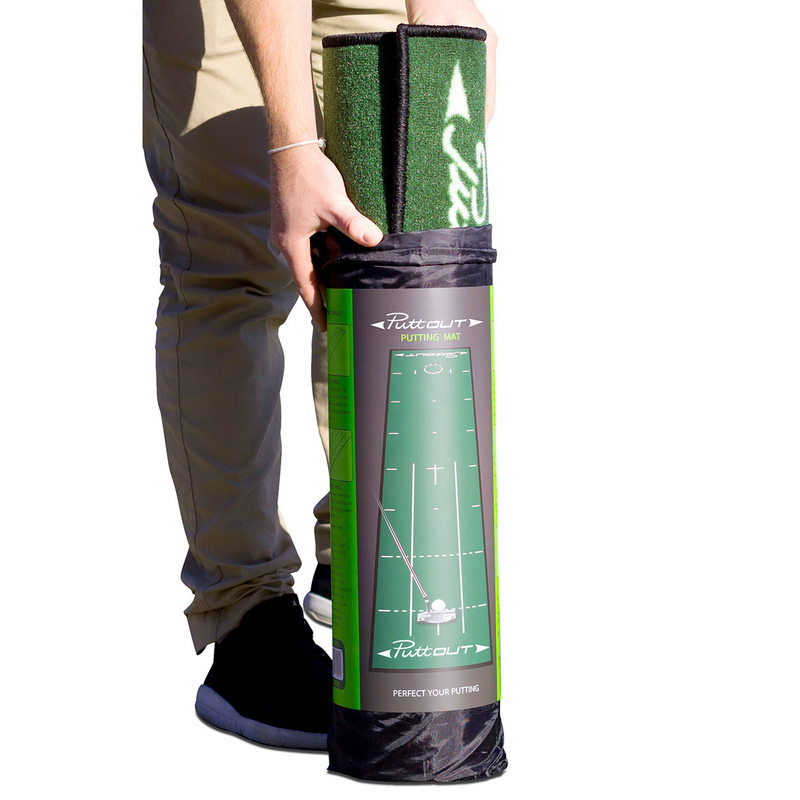 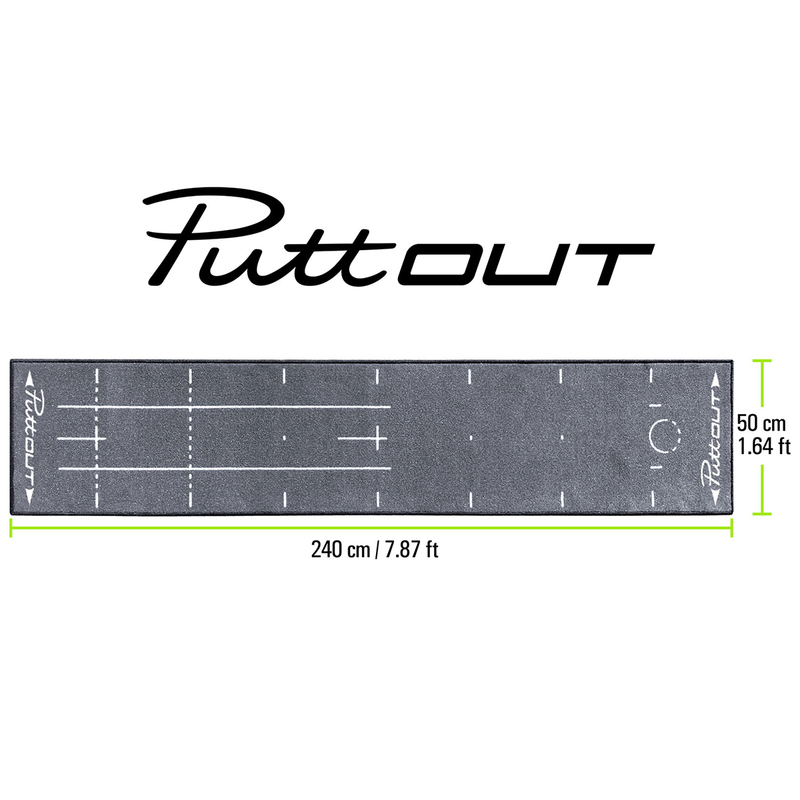 Practise makes perfect, with the highly durable PuttOUT Deluxe putting mat. 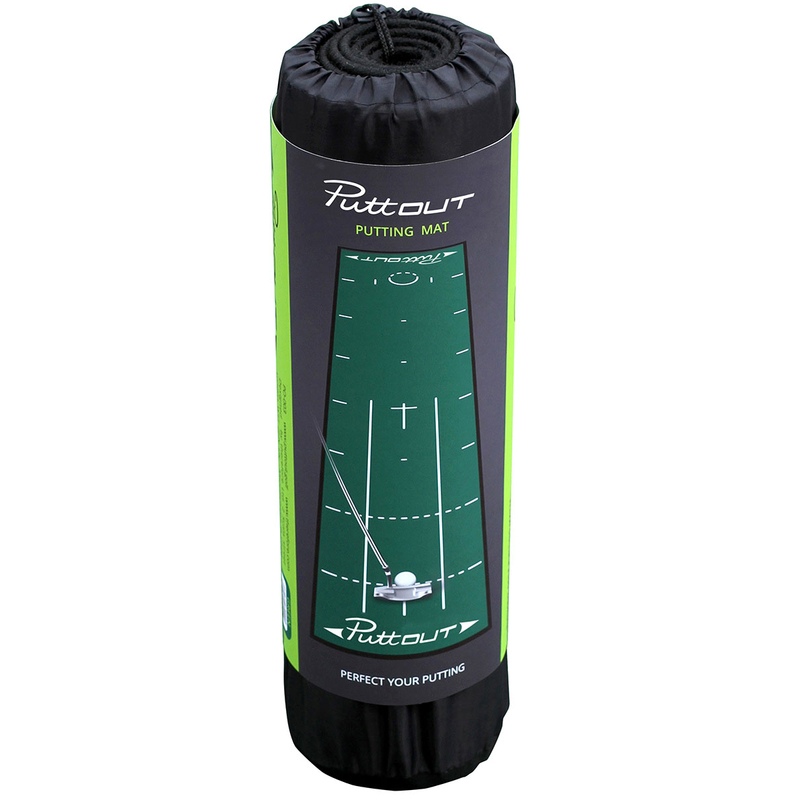 This nylon mat with heavy duty rubber backing ensures you can practise your putting anytime and anywhere. 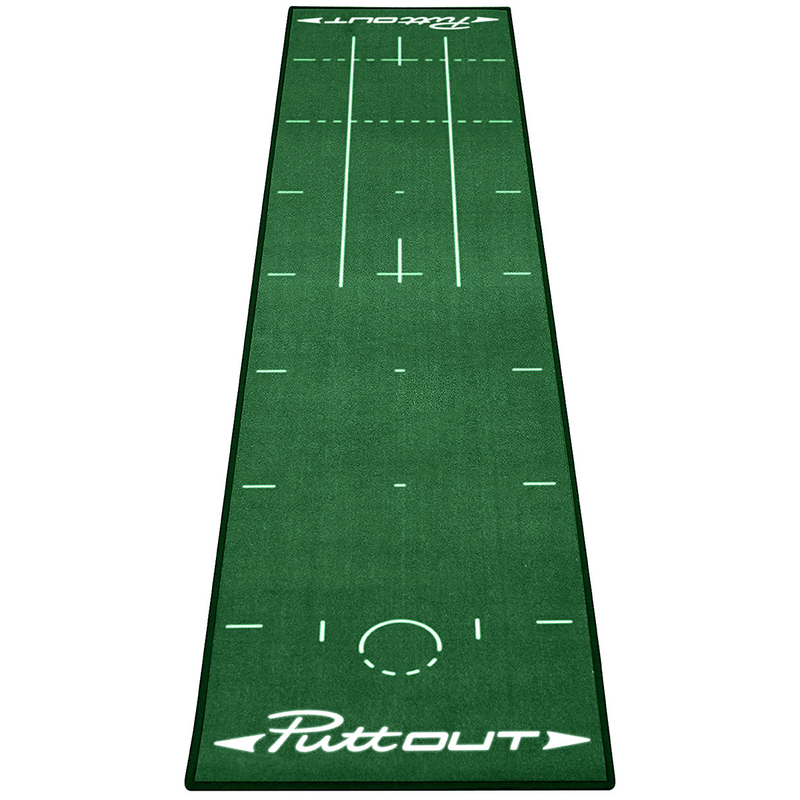 The mat has a stimpmeter reading of 10, to replicate a medium to fast paced green, with alignment lines and foot markers from 6 foot out.